Overnight trip to Cairo starts and ends from Alexandria Port visiting Giza Pyramids, Sphinx, Memphis, Sakkara, Egyptian Museum and Felucca Ride on the Nile for an hour. Enjoy an overnight trip from Alexandria to Cairo and experience the best of Egypt. This is a shore excursion and you can be sure you will be returned to your ship 2 hours before departure. Day 1:Starts with a 7:00 am pick-up from Alexandria Port by your expert tour guide who will greet you with a sign showing your name on it, then you will be transferred to Cairo by private a/c van. The distance from Alexandria to Cairo is almost 220 kilometers. You will arrive in Cairo by 10:00 am to start your day tour. 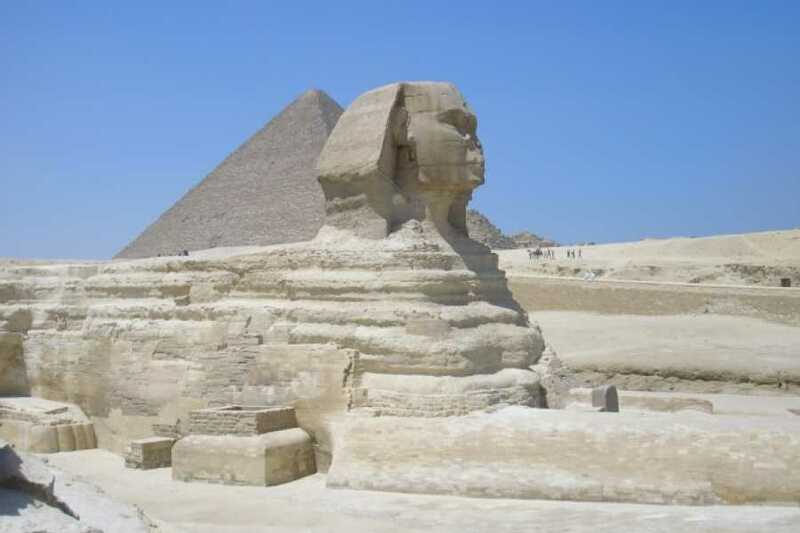 Visit Giza Pyramids where you Visit the Great Pyramids Of Giza - Cheops, Chephren and Mykerinos, then Visit the Valley Temple, the place where the priests mummified the dead body of King Chephren, owner of the second pyramid at Giza plato. 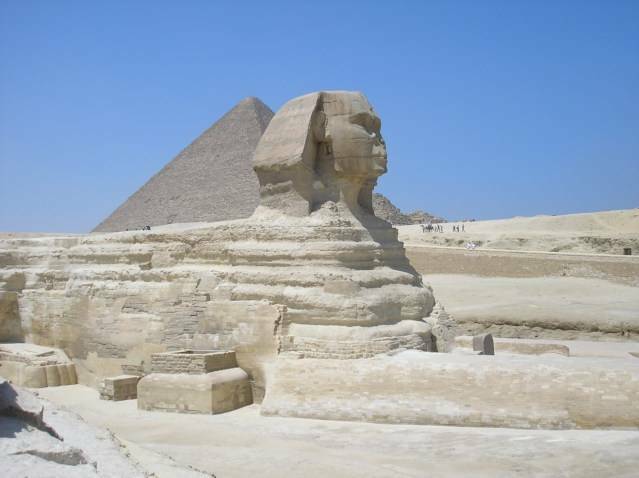 This is also the same place where you can have a close-up look at the Sphinx and the legendary guardian that stands by the huge funeral complex with its lion body and the head of King Chephren. Lunch is included in between visits at local restaurant based on full meal for each person but beverages are not included. After lunch continue your day tour to Sakkara, located only 27 km south-west from Cairo. Visit the step pyramid (built for King Zoser), it is considered an important part in the process of the pyramid evolution, which were made from the simple mastaba to its widely known form.Then continue your day tour to Memphis, the ancient capital of Egypt, where the colossal statue of Ramses II and the great Alabaster Sphinx are. This City was founded in 3100 B.C by first Ruler of Egypt King Narmer or Mina. Around 17:00 you will be transferred to the Hotel (Le Meridien Pyramids Hotel). Check in and overnight in Cairo. Have breakfast at the hotel then at 8:00 am check out and be picked up from your hotel by your tour guide. Start your day visiting the Egyptian Museum where antiquities are displayed that are amongst some of the largest and most precious items of the Egyptian art in the world. End your Cairo day tour with Felucca ride on the Nile for an hour and enjoy sailing on the Nile. Around 13:30 transfer back to Alexandria port to catch your cruise ship. It can be assured you will be at the port 2 hours prior to your cruise departing.